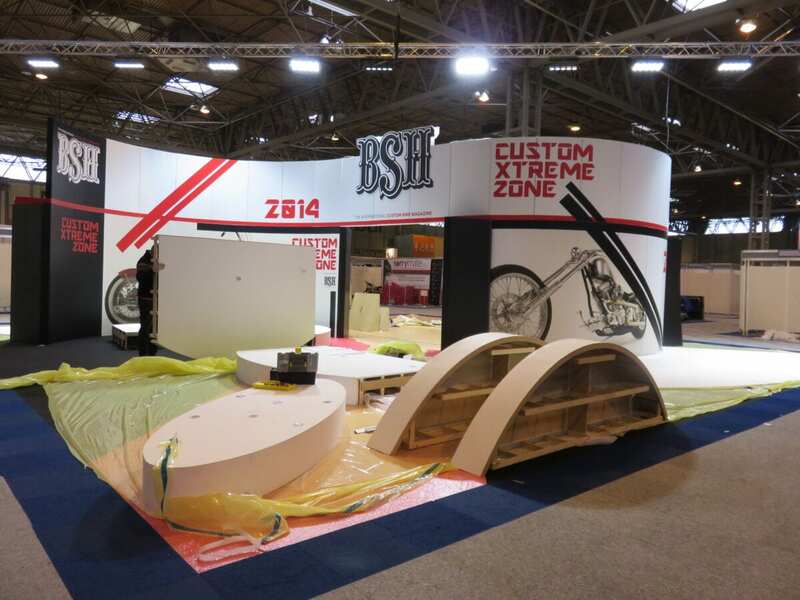 When I arrived at the NEC on set-up day just under two hours before the first bikes were due to start arriving, it was hard to imagine under all the plastic coating and still damp MDF just how impressive the stand was going to be .. Even more worrying was when the workmen just seemed to vanish! With so many deliveries coming in to the halls there was a strict rota system enforced to keep the vehicles moving and prevent blockages. 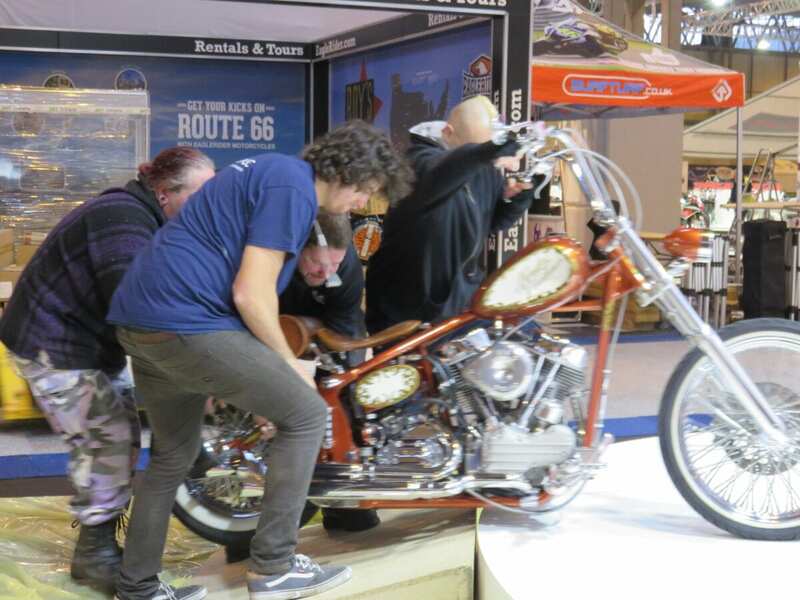 It probably tested the patience of some, but it seemed to work and slowly our expected show bikes started to trickle through. 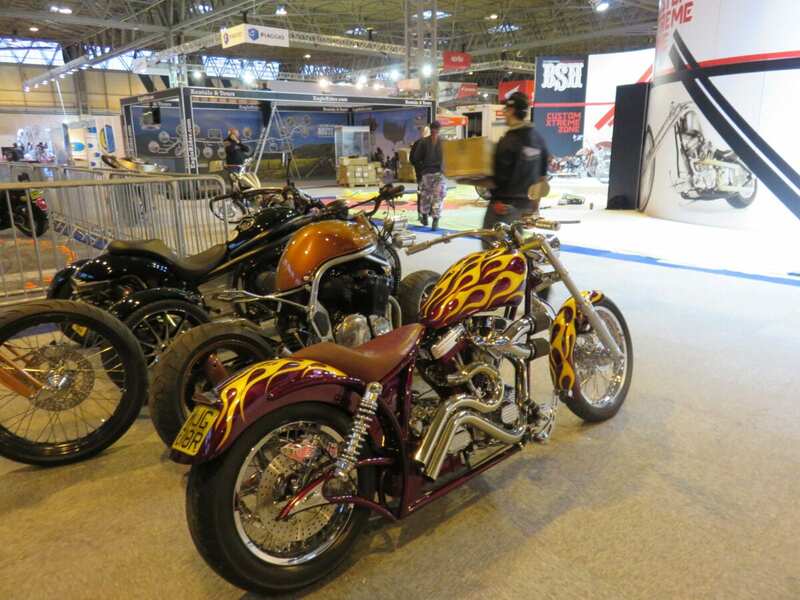 Before long the bikes were lining up to be positioned around the stand – which still wasn’t finished! 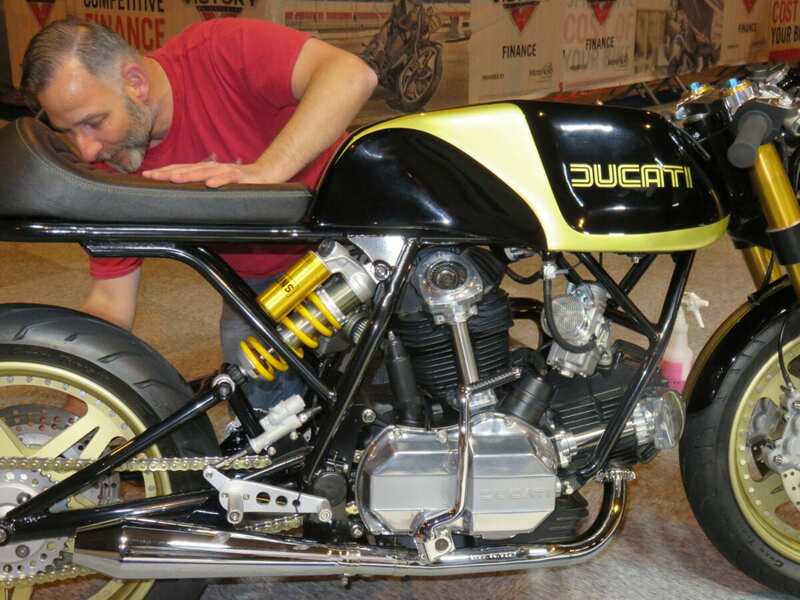 The owners and builders each gave their pride and joy a final clean before their nine days on display at Motorcycle Live 2014, and judging by the comments that were made I’d say that every minute of buffing and dusting was worth it! 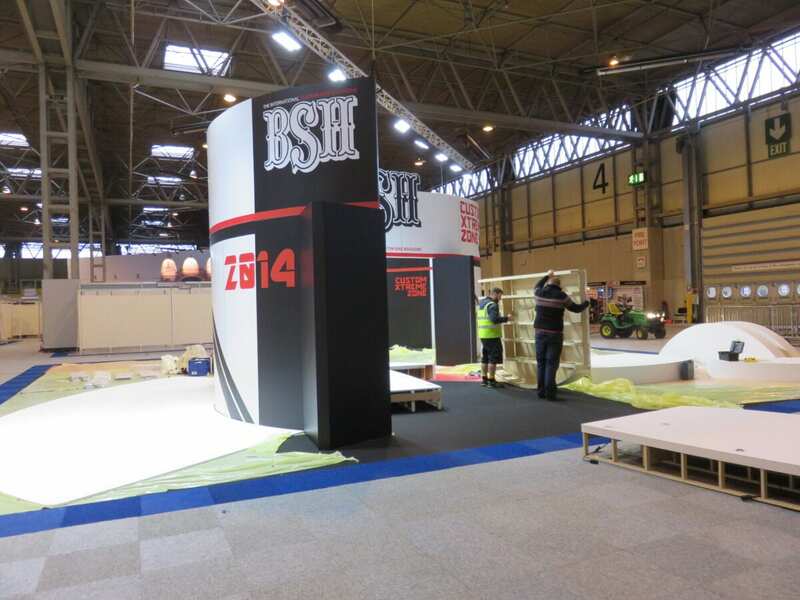 When all the bikes were in place, we departed to let the build-up team finish removing all the protective coverings and do a final clean ready for the morning. 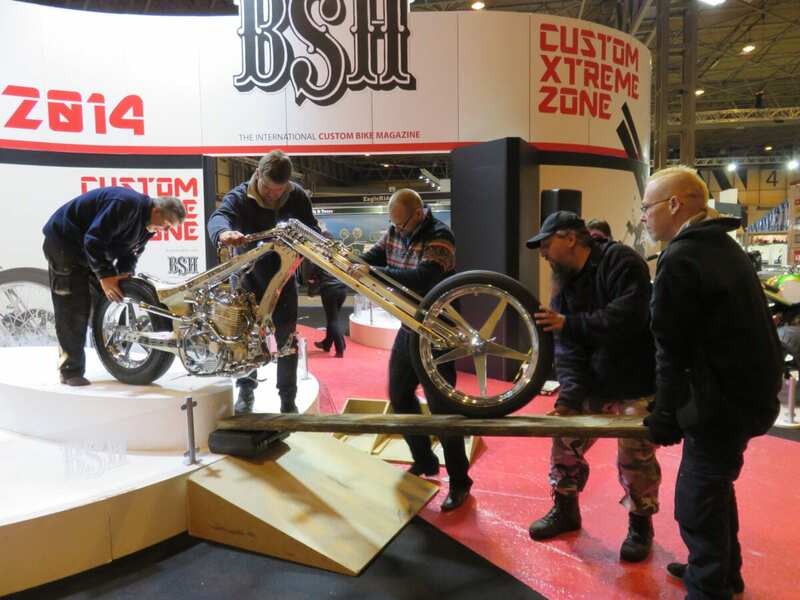 Previous Post:Check out Back Street Heroes at Motorcycle Live 2014!